'Reverend' Colin Fry - Page 3 - Skeptics Forum. Seems like my opinions on the dodgy Rainbow Lodge from back before Colin died have been proved spot on. Those in the know will be aware of what i have been saying about Mikey. Everything else I been saying on my twitter and facebook. LOTS more will come out about this for anyone who cares. I know a lot more and will reveal it as it suits me and my agenda! 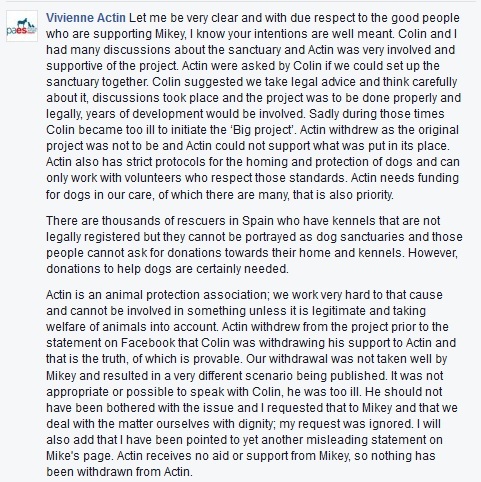 also Mikey posted photos of invoices he claimed were for work done using donated money AFTER Colin had died. When Colin's family pointed this out, Mikey quickly deleted the invoices. Now if only someone had a copy of what he posted? Anyway getting a bit bored of this now, as I am the ONLY person publicly speaking out against Mikey and the Rainbow Lodge, and sadly Colin Fry fans are never gonna listen to me, and the people they would listen to refuse to speak out publicly, so as usual i am taking all the abuse, and it is not my fight, nor do I really care, since mikey does not claim to be a medium (he doesn't believe in mediumship either you know), so not really something I am that interested in. JonDonnis wrote: Seems like my opinions on the dodgy Rainbow Lodge from back before Colin died have been proved spot on. Jon Stop being the obnoxious kid, who says look I was correct on this point. JonDonnis wrote: Everything else I been saying on my twitter and facebook.